Did You Win Slasher Sequel HATCHET 4: VICTOR CROWLEY On DVD? We've got two DVDs of the latest instalment in the Hatchet series to give away. Victor Crowley returns to his swamp in writer/director Adam Green’s triumphant return to the helm of his beloved Hatchet series. In 2007, over forty people were brutally torn to pieces in Louisiana’s Honey Island Swamp. Over the past decade, lone survivor Andrew’s (Parry Shen) claims that local legend Victor Crowley (Kane Hodder, Friday the 13th series) was responsible for the horrific massacre have been met with great controversy. But when a twist of fate puts him back at the scene of the tragedy, Crowley is mistakenly resurrected, and Andrew must face the bloodthirsty ghost from his past. Featuring Laura Ortiz (The Hills Have Eyes), Dave Sheridan (Scary Movie) and Brian Quinn (Impractical Jokers), the fourth instalment of the much-loved slasher series proudly assures an all-new, horrifying journey into the haunted, blood-drenched bayou. 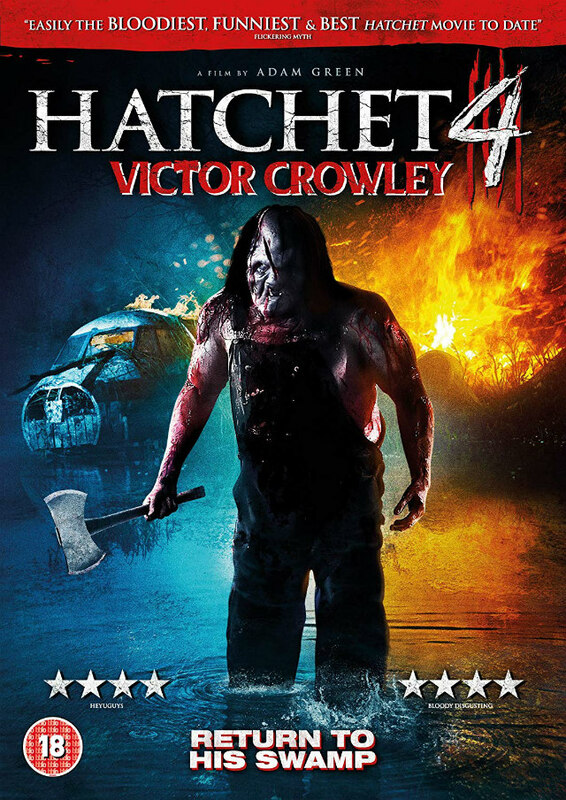 Hatchet 4: Victor Crowley comes to UK DVD September 3rd courtesy of Thunderbird Releasing and we've got two copies to give away to lucky UK readers.